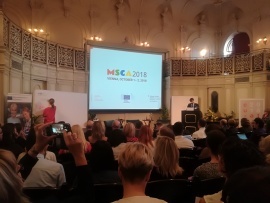 On the 30 Sept.-5 Oct., Mounika Rapolu took part in the Fractal Geometry and Stochastics 6 conference. 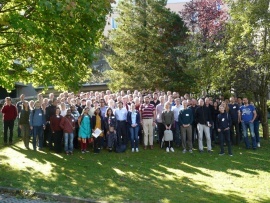 FGS 6 is an international conference that has grown into a leading platform that connects researchers working in fractal geometry and related fields. 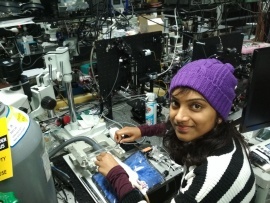 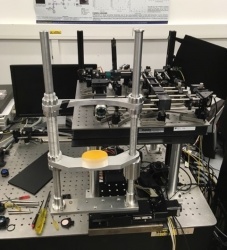 Mounika Rapolu have been selected to present a poster on “Multifractal, Fractal and Lacunarity analysis of the three-dimensional cerebral vasculature of the mouse brain in vivo”. 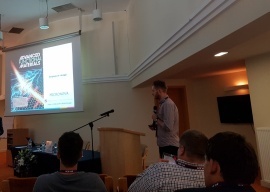 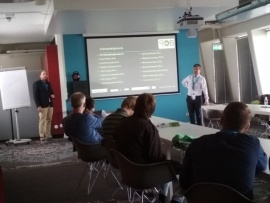 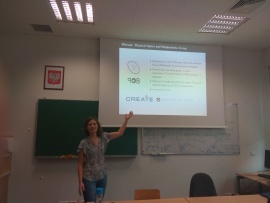 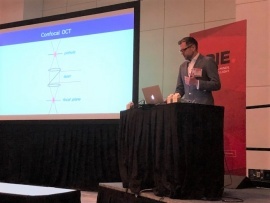 Julia Sudyka was invited by dr Arkadiusz Kosior to give an one-hour talk on recent progress made in context of novel imaging systems developed in group of Prof. Wojtkowski. 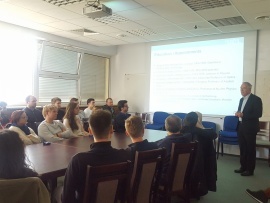 During the seminar of Atomic Optics department she presented the project concerning Single-pixel camera.